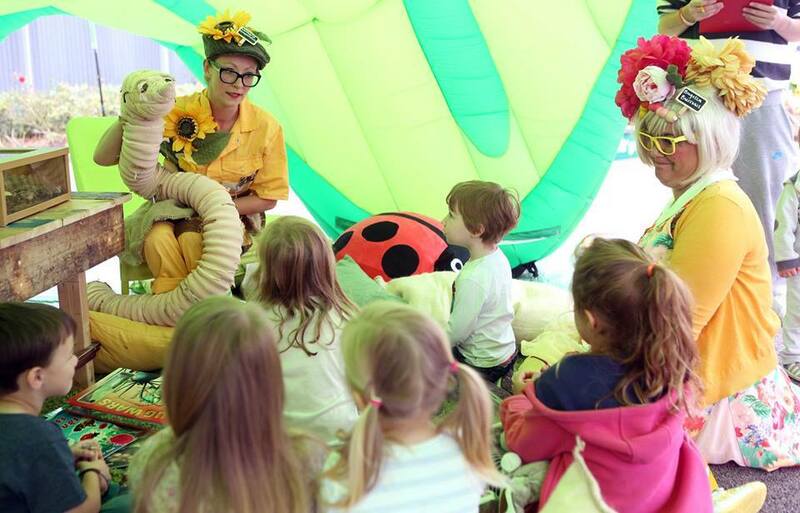 This summer-long campaign popped up in locations across the country, bringing environmental education and performer-lead fun to thousands of children and their families. Underneath our huge inflatable leaf, our team of brilliantly costumed characters hosted activity areas, each with its own eco-message: with Walter Droplet children swam the rivers and wrung-out the clouds to bring the water cycle to life and stress the importance of everyday water conservation. Litter Bug helped the children to sort their rubbish into recyclable materials, and Wormarie Compostulaire took children through underground tunnels with her poetic worm friend, William Wormsworth to dish the dirt on the benefits of compost. And… Honey, we shrunk the children and took them into the world Under the Big Green Leaf where they came face to face with giant snails and millipedes! 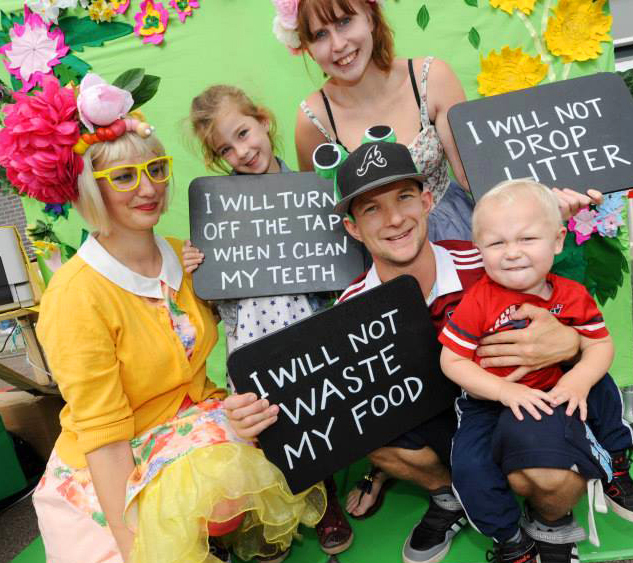 Filled with practical ways in which every family could make a genuinely positive impact on the environment, this was an event with massive impact. Every child took home a photo as a memento of the event and retailers were delighted with the impact of the event on footfall. See the showreel for footage in About Us.